In the world of television, any writer already working their way up or seeking to break in with a strong original pilot is likely to look forward to the day when a TV deal is put on the table. Not only do TV deals signify that the writer has arrived in the television stratosphere, they represent – at best – a financial windfall and employment security, or – in the very least – the presence of a powerful partner with whom to develop and shop the writer’s work. However, not all TV deals are created equal. There iare a variety of deal options that may over time become available for the represented writer who makes an impact in the space with a strong voice, strong series concept, or who is moving up the television ladder in an effective and inspiring manner. For the big dogs, the established showrunners and EP’s (executive producers) such as the Vince Gilligans, Kurt Sutters and Ryan Murphys of the world, you are likely looking at an OVERALL DEAL with a studio or even a network. That means that they have signed a deal under which they are obligated to bring anything and everything they are developing to their studio, and work on it under the studio umbrella. For most, it also means that they can not shop their projects elsewhere; those projects are developed specifically for the studio they’ve made a deal with. Not only are these deals lucrative for the content creators, who often collect an upfront fee, annual fees, and additional writing and production fees for anything the studio picks up during the term of the deal. If the studio wants to nurture the relationship with the creator and ultimately capitalize on its investment in the showrunner, it is incentivized to help the deal holder develop, package and sell the show. If the studio rejects every single show the showrunner presents, the content creator is likely to pack his bags once the deal has lapsed, and go make a home in a studio more friendly to his storytelling sensibilities and overall brand. Another high-level deal is a first-look deal. Such deals – in which a studio or mini-major empowers a production company – initially began on the feature front, and has since evolved into the television space. A production company can have a single deal with a major entity, or multiple deals for work done for different spaces. Bad Robot, for example, has its feature deal with Paramount, and a TV deal with Warner Bros. In such a deal, the production entity receives annual funds to cover all or some of its overhead costs (including salaries for company principles), may receive on-the-lot privileges and offices, and in return make the studio with which they made their deal the first destination for any new project it is looking to develop. While most companies under a first look deal do have the ability to shop material elsewhere should their studio reject their proposed project, many tend to develop material with their specific studio in mind as their home studio is incentivized to give priority to any of their projects in order to justify the significant cost of the deal and preserve a prestigious relationship. For individual television writers who are seeking to develop content with a studio on board, there are two deal options: The first is the BLIND DEAL. A blind deal is entered into when a studio or financed production entity and a writer decide to enter into a development relationship. In all likelihood they have yet to identify the project, but instead have agreed that they are seeking to foster a collaborative business relationship. In a traditional blind deal scenario, once the deal is signed both writer and studio bring ideas to the table, usually 3 from each side. After the ideas are reviewed and explored, both entities agree on the idea they feel both feel holds the most promise, and the writer then develops the pilot with the studio’s involvement. Writers who enter a traditional blind deal enter it with pay, and are commissioned to develop a particular pilot for the studio. Whether the pilot is sold or the material is put on the shelf, the studio will hold all rights to the material moving forward. And then there is the IF/COME deal. Much like a blind deal, an IF/COME deal is put in place for a writer to develop a project with a studio on board. However, there are two major differences: Here the project usually originates with the writer, and the studio comes on board to provide support as the material is developed and prepared to take out to buyers. 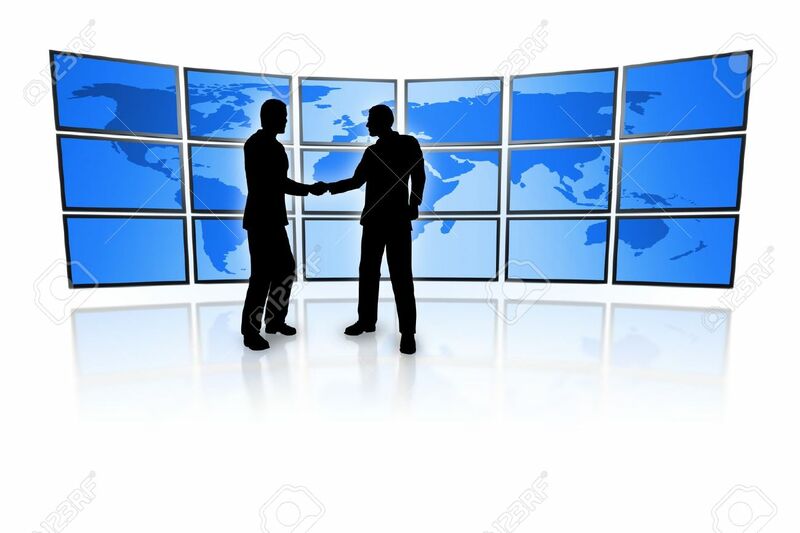 Secondly, in an IF/COME deal, no money changes hands unless and until a buyer comes to the table, which means that until the project is picked up, no money changes hands. As long as the material originates with the writer, the rights to the material will likely remain with him should the studio decide to pull its support or cease the selling effort, unless otherwise contracted. However, if the concept originates with the studio or production company, then the rights to the material remain with the entity even after all buyer options have been exhausted. This is similar to an on-spec writing assignment, or a situation in which a writer develops an original screenplay or pilot from an idea given to him by representation, a producer, or a production entity. Even if writer and the producing entity part ways, the producing entity will likely seek to remain attached to the material as producer, if not hold the rights to the material altogether.